State of Queensland – Science and Innovation Grant, Accelerate Fellowship (Mid-Career). The ability to measure and record the physical structure of plant canopies is essential to being able to remotely quantify biomass, growth rates, to quantifying the water and nutrient status of plants, and often such structural attributes can be used a surrogate indicator of potential yield and/or the quality of derived products. Ultimately yield and quality drives all forms of agricultural production. The rapid development of low cost, high quality camera systems, and new opportunities available with terrestrial (robotic) and UAV platforms, offers the chance to re-invent how we undertake remote sensing for crop and pasture monitoring and yield/quality prediction. This technology is certainly applicable to pastures, irrigated and rain-fed crops including tree crops. 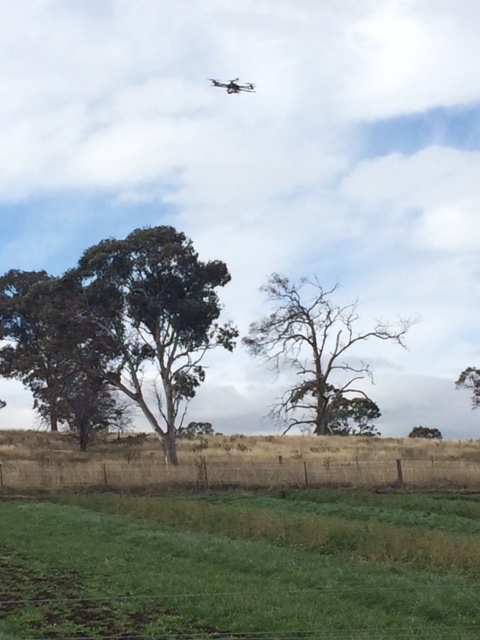 In this project, undertaken as part of a larger collaborative project with University of Southern Queensland and V-Tol Aerospace , we are investigating the use of both drone and on-ground high resolution imaging systems to create 3-D images of pastures for determining biomass.